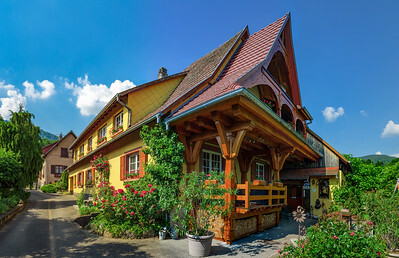 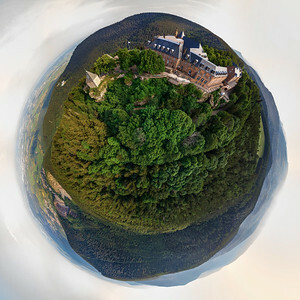 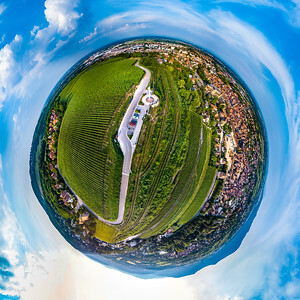 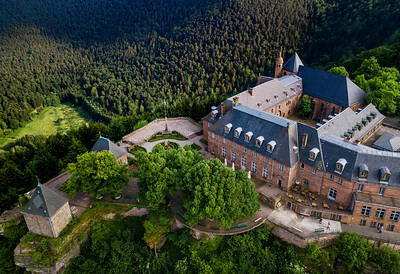 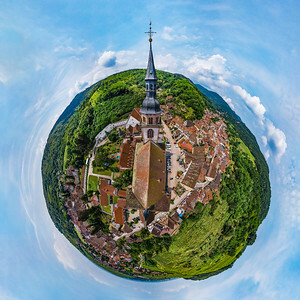 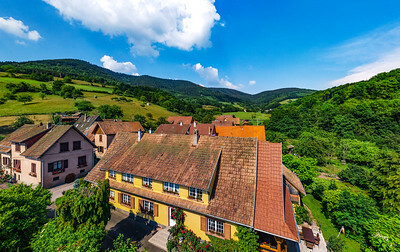 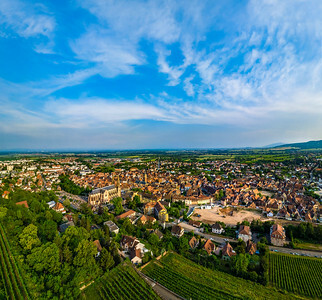 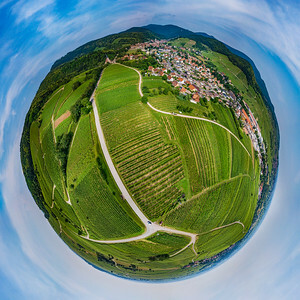 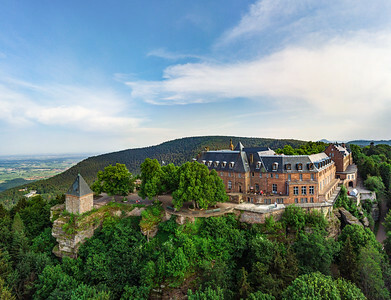 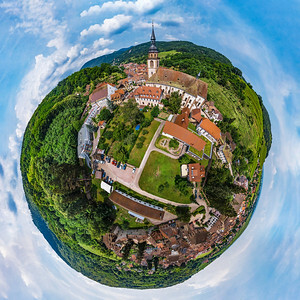 Spherical panoramic view like a planet of village Andlau, Alsace, France. 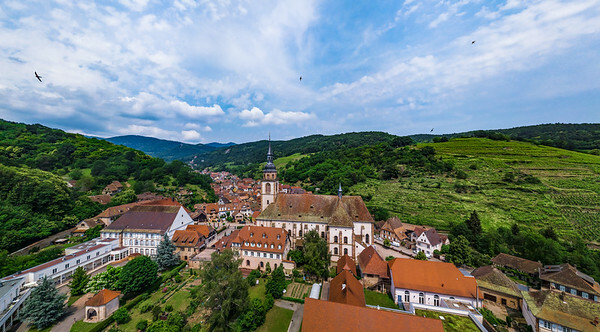 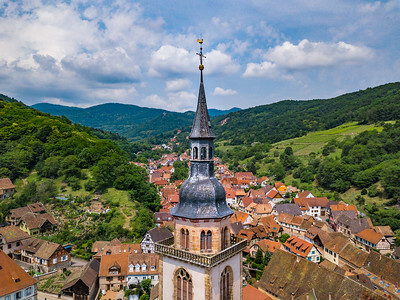 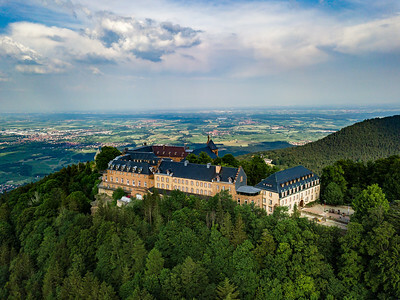 Medieval village Andlau aerial panoramic view from drone. 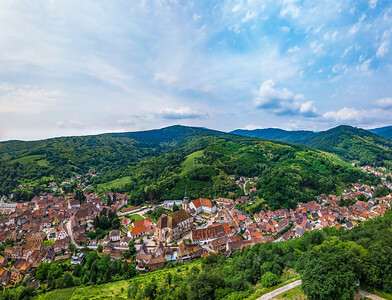 Alsace, France. 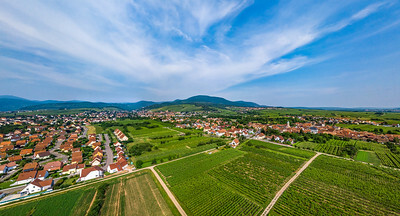 Green vineyards aerial view from drone. 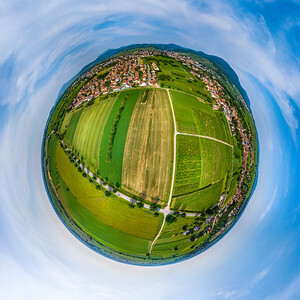 Wide panoramic photography. 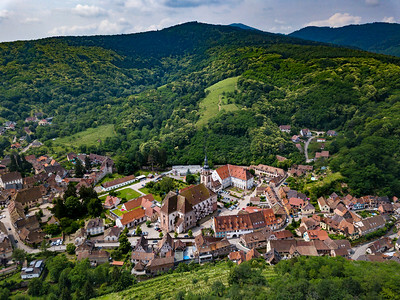 Andlau, Alsace, France. 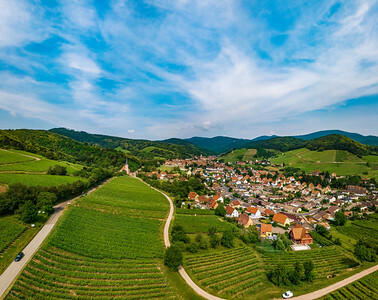 Vertical panoramic view of road made from drone. 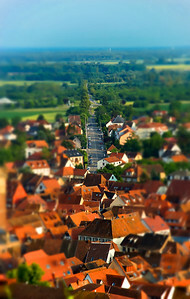 Useful for tall banner.